In the spirit of my new NaNo novel, MORTY, I figured now would be a wonderful time to share one of my favorite books. STIFF by Mary Roach is one of my atypical nonfiction recommendations. Generally speaking, I read and write only the fantasy genre, but this book intrigued me. I first saw it when a classmate was reading it, and she were more than happy to tell me all about it. Mary Roach is an American nonfiction author specializing in popular science and humor. She has a degree in psychology and never intended to make a career in science, but found the topics to be far more interesting than pretty much everything else. In reading STIFF, I appreciated her lighthearted nature. The book is an easy and entertaining read, and sneakily educational. 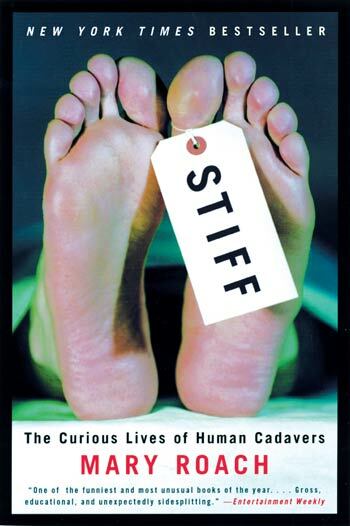 STIFF is a study on the afterlife of cadavers. Basically, Mary Roach spent a lot of time investigating what happens to human bodies that have been ‘donated to science.’ Far above and beyond organ donation, cadavers are incredibly important to studies involving death or the human body. It’s already an easy sell. I was already planning on donating my body to science. I’m one of those practical people that is more horrified of letting something valuable go to waste than I am concerned about how my body is used after I die. After reading this book, I can now rest easier at the prospect of death just fantasizing about how mistreated my remains will be post-mortem. Obviously, some cadavers are used anatomy labs. Anatomy and physiology students use cadavers to learn about the parts and systems of the body. But how about these other uses? So yeah. By the way, I’m really morbid. STIFF is one of the most unique and interesting books I have ever read. It satisfied my morbid curiosity and my geekiness. Definitely worth a read! Check out our #SundayReview category every Sunday to find out what we are reading, watching, or learning about storytelling in all of its forms! Hi all! I think it is fair to say that everyone knows I love manga and anime. I have a fair few favourites and discover new ones all the time. From the magic of Studio Ghibli, to basketball teams slogging it out on the court, there is a manga for anime for everyone. Created by Hiromu Arakawa and originally released as a manga in 2001, Fullmetal Alchemist is one of my very favorites in both the manga and anime versions. I’ve read the manga so often, I’m pretty sure I will have to replace it soon. There are two versions of the anime; Fullmetal Alchemist the tv series, and Fullmetal Alchemist: Brotherhood. I have only seen Brotherhood and chose to watch it as it was said to be based on the manga I loved, while the other version apparently occurs after the manga. The story revolves around two brothers, Edward and Alphonse Elric and their quest to reclaim their bodies after a terrible incident when they were young. Raised primarily by their mother, Trisha, the brothers learn the scientific skills of Alchemy and follow in the footsteps of their mostly absent father, Hoenheim. When Trisha tragically dies from an awful illness, the boys are left pretty much alone and learn all that they can about Alchemy with the hopes of bringing their mother back to life. Edward and Alphonse painstakingly learn and gather together all the ingredients contained within the human body for the alchemic technique of Human Transmutation. While at first it appears that they might succeed in reviving their dead mother, things go tragically wrong when Alphonse is sucked into a portal within the alchemy circle and disappears as a result of the law of Equivalent Exchange: something of equal value must be given in exchange. Edward, having also lost his leg and terrified of what just happened, gives his right arm so that he can pull Alphonse back through the portal. He is only able to bring back his brother’s soul, and so binds to to a giant suit of armour. In the aftermath, the boys are taken in by a family friend whose granddaughter makes Edward replacement limbs in the form of automail; robotic limbs attached to the central nervous system of the body to allow full and natural control. When Edward is invited to become a State Alchemist-skilled alchemist working for the government- he and Alphonse seize the opportunity to find a way to get their bodies back. They hoped to do with with the help of The Philosophers Stone, a rare item which the antagonists of the story possess. I could go further into the complex story, but if you are not interested by now, it is likely this is not the manga/anime for you. But, if this caught your attention, I will explain why this particular story gets to be the first Whatever Wednesday special. The art in the manga is clean and skillfully detailed. The facial features of the brothers are often depicted with varied expressions in which their emotions are clear and easily read. Even Alphonse, and he is essentially just a suit of metal armour! There are fun depictions of them throughout, which inject some much needed humour in what is a rather dark and sorrowful story. The art is not lost in the transfer to anime, it is a pleasure to watch for this reason alone. The antagonists are varied and interesting. They are Homunculi; artificial humans created by main antagonist, Father, and each given a character to match the seven deadly sins. While they are obviously monstrous villains, they are so well defined that you can not help but feel for them, and at certain times even cheer them on–Greed in particular. They are pretty much indestructible and some of the fight scenes are especially satisfying. If I was to choose a favourite of the Homunculi, I would have to say Greed and Envy. Both are raving lunatics, but they also have qualities that come through more than most of the others. Humour being one they both have in large quantities. The themes throughout Fullmetal Alchemist have to be the most interesting part. Even if you took the magical of Alchemy out of the equation, you are still left with a tale including a wealth of interesting characters and a back story which keeps you wanting to know more. The story includes brutality, discrimination, regret, politics, war, racism as well as an exploration of what it is to be human. The indomitable spirits of both Edward and Alphonse keep you reading and watching, cheering them on and crying for them as they go to extreme lengths to protect and save each other. There is so much going on in Fullmetal Alchemist that by the time it’s finished, it feels as if you lost something. Which is probably the reason I revisit it often. The manga is available in 27 volumes and also in a 3-in-1 format. The Brotherhood anime is available as dvd boxset. 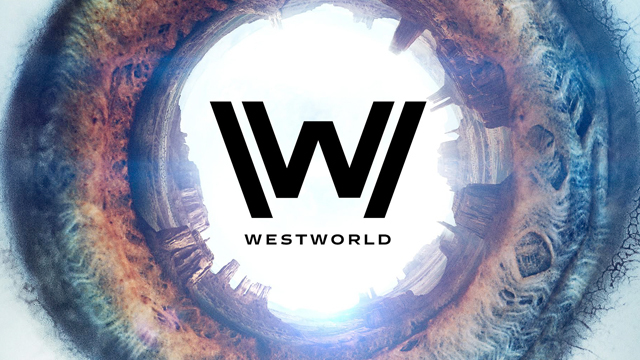 I have yet to look into the tv series version. If you are looking to get into a new manga/anime and have not seen or read Fullmetal Alchemist yet, get out there and find it now! You won’t regret it.